Nokia 6 is for sure unstoppable some days ago we wrote a post that Nokia has got 1.4 Registration ahead of Second Flash Sale. 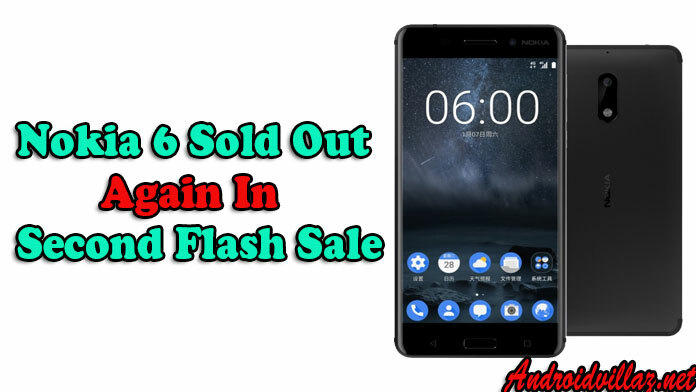 You will be shocked to know that the second flash sale which was held on January 26 for Nokia 6 didn’t last long either, as they ran out of stocks again. Wow, Nokia’s return is one of most trending news on news platform and social media it has been getting good feedback from it old user this is because Nokia 6 is first Nokia Android-powered smartphone. The second flash sale which was held on January 26. You will be amazed to know they sold out all available stock again in a matter of minutes. As we all know Nokia 6 is a huge hit in China. Nokia 6 third flash sale will probably take place soon, but the exact date for the flash sale is not disclosed yet. Well, for those who don’t know Nokia 6 is only available in Black Color. If you want to order for Nokia 6 you can check Aliexpress as it now Available in some store valued at 335-338$.